Club SÖDA NYC (Sober Or Debating Abstinence) is an event series for the "sober curious" from Ruby Warrington and Biet Simkin. A new space to investigate what happens when we re-frame our relationship with alcohol. To remove some of the stigma that exists around sobriety and alcohol abuse. Like, what if having a "problem" with alcohol, didn't automatically make you an alcoholic? What if it was cooler not to drink? And far from “boring”, what if consciously choosing a more sober life meant feeling “high” more of the time? Featured on in numerous titles as a key wellness trend, our meet-ups, talks, parties, and workshops are a place to ask these questions and more—and to get some new answers when it comes to you and booze. You want to experience getting crazy high on your own supply! 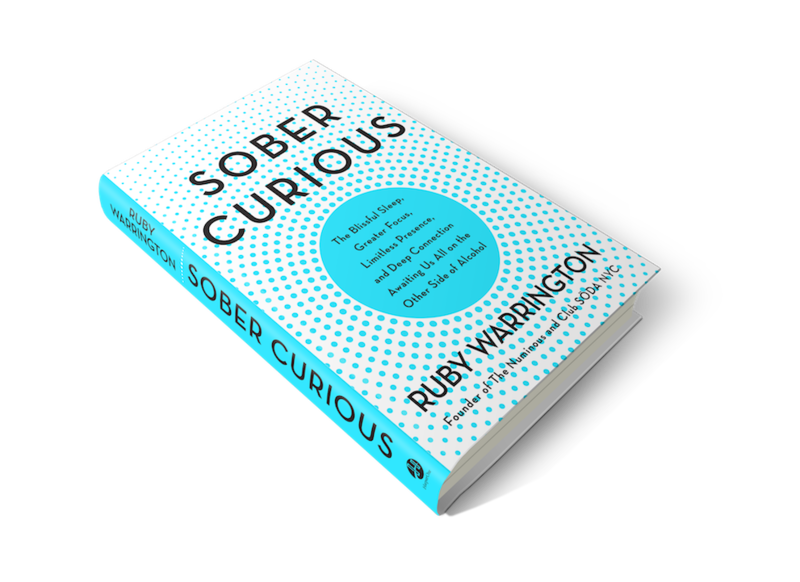 Offering an eye-opening new way to think about our relationship with alcohol, Sober Curious is the new book from Club SÖDA NYC co-founder, Ruby Warrington. Packed with concrete takeaways and prescriptive advice, Sober Curious demonstrates how alcohol is a weak imitation of the joy, inspiration, confidence, connection, and overall sense of aliveness that can only be generated from within—while offering a tantalizing glimpse of the well-being that awaits when you give up drinking. Disclaimer: Club SÖDA NYC is NOT an addiction recovery program—although it may be a stepping stone to AA for some people. If you think you might need a higher level of support to address a drinking problem that’s negatively impacting your life, or in dealing with any underlying emotional issues that may be part of this, we also have the resources to connect you with people who can help.